The HiyaHiya Accessory Case is perfect for holding needles, notions, and gadgets. 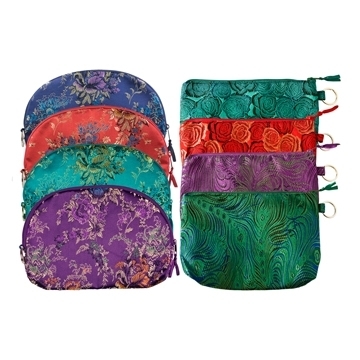 Made of beautiful brocade and fully lined with an inside zipper pocket, it measures 9-3/8" x 6". Cases come in assorted colors.